One of the biggest unrestricted free agents on the market during the 2012 offseason had yet to play a single second of professional hockey. At an age when most players were lucky to be coming off their entry level contract, Justin Schultz had the ability to sign anywhere, with the maximum contract value instead of one dictated by his draft position. 26 NHL teams have expressed interest in UFA dman Justin Schultz, a shortlist of 5, give or take a team or two, likely by this afternoon. After declining to sign with the Anaheim Ducks, who drafted Schultz in the 2nd round in 2008, the frenzy was on to obtain his services. Viewed as a player who could step in and play top 4 minutes immediately, a natural power play quarterback, and one with the potential to be one of the highest scoring blueliners in the league, nearly every team expressed interest, with Schultz ultimately whittling his list to five serious contenders before picking the Edmonton Oilers. The Oilers gave him the clearest path to top pairing minutes, and early on in his professional career Schultz seemed poised to make the high expectations into a reality almost overnight. With the lockout putting the NHL season on hold, Schultz reported to the Oklahoma City Barons of the AHL and thoroughly dominated the lower level of competition. Playing in just 34 games, none after the lockout lifted, Schultz's 18 goals and 48 points finished as the best among blueliners for the entire AHL season, and he still won the Eddie Shore Award for best AHL defenseman as well despite his brief stay. He didn't stop once the puck dropped on the shortened NHL season either. Playing in all 48 games, Schultz finished tied for 12th among blueliners with 27 points (8g, 19a) - a pace that would equal 14 goals and 32 assists over the course of a full season. It looked like the start of a bright and promising career that would surely have him in the conversation of most offensively talented defensemen in the game. Unfortunately for Schultz, the Oilers franchise would continue to be one of the most toxic environments in the league during his time there. While he set career highs in both goals (11) and points (33) during his second season, his scoring totals would drop to the point where he had 10 points in 45 games before being traded. As the offense dried up, his TOI per game would begin to drop, and concerns about his defense became more prevalent in Edmonton despite the steady improvements in both GF% and FA/60 from year to year. Ultimately, Penguins GM Jim Rutherford scooped him up from the Oilers for just a 3rd round pick, and Edmonton picked up half his cap hit to get him out of town. Playing sheltered minutes with Pittsburgh, Schultz flashed the promise the entire league drooled over coming out of college. 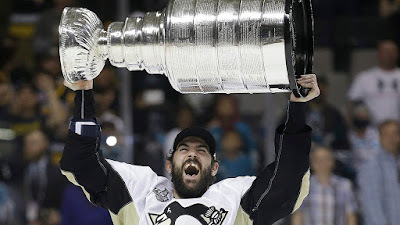 With Trevor Daley succumbing to injury against the Lightning, Schultz was able to become a regular part of the blue line for the last two rounds and finished off the season a Stanley Cup champion. 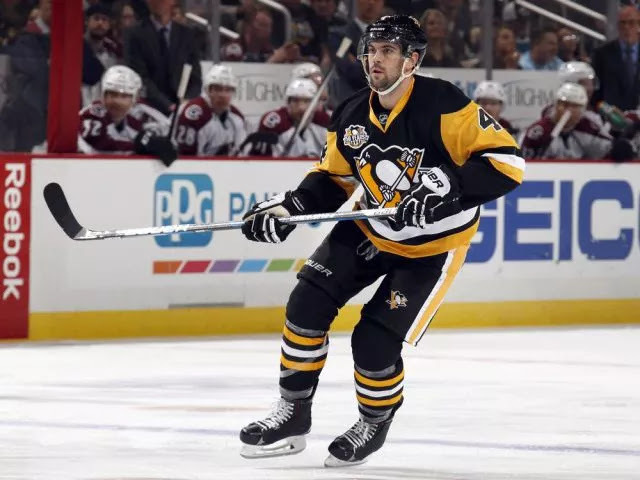 After the season, with the Penguins declining to offer the $3.9 million tender that would have allowed them to maintain Schultz's restricted free agent rights, he was offered an unheard of opportunity, especially for a player who never had a cap hit below $3.5 million - Justin Schultz hit unrestricted free agency for the second time during his RFA years. Once again, Schultz could, theoretically, sign with any of the 30 teams in the league. Undoubtedly, the mistakes he made during his first go around with the free agency process factored into his decision making, and after a couple weeks on the market Schultz returned to the Penguins on a one year, $1.4 million deal. It turned out to be a wise decision on his part. Though he started off the season in a similar role as the year before, injuries presented the opportunity for more ice time and his play has earned him those minutes even with a healthy roster. Since the start of December, he's averaged 21:12 TOI per game while chipping in 6 goals and 18 assists in 21 games. He's tied for 5th in points during that time frame. Not among defensemen, where he ranks second, but among all skaters in the league. And more importantly for the Penguins, he's done this at a time when Kris Letang has been in and out of the lineup with injuries. Schultz has stepped up his game when the Pens have needed him the most, and his strong play gives Pittsburgh a much more dangerous top two pairings at full strength. In Pittsburgh, he's become the player that Oilers fans and local media have criticized him for not being in Edmonton, and he's justified the hype surrounding him when he entered the league four years ago.